Bobby Jindal is still up to no good, including discussing the idea of a “hostile takeover” of the US. I will continue my review of him and his leadership of the stupid party. Front and center of the stupid party is the tea party. When Senator Cochran defeated tea party candidate Chris McDaniel in the GOP primary runoff in Mississippi, he did so by reaching out to Democrats in black communities. The response by the tea party folks is amazing and shows why they continue to have a perception problem (if not a problem in reality). Finally, the Supreme Court made a very big ruling on privacy rights today. Even better is that the ruling was unanimously reached. I will go into that subject as well. 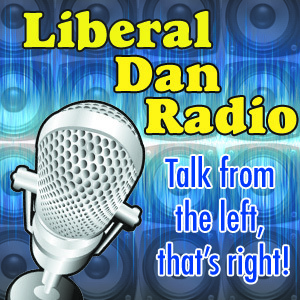 All those issues, headlines, tweet of the week, and more Wednesday at 8pm Central on Liberal Dan Radio: Talk From The Left, That’s Right. Should printing companies be held responsible for political mailers? Richard Perque is running for traffic court judge in New Orleans. A lot of my friends are supporting him. I voted for him. Oh,and there is something else unrelated to his qualifications for Judge: he is openly gay. Yes, he shares the fact on his campaign website. But in reality it has nothing to do with his qualifications. Other people disagree. For some reason they believe that because he is openly gay he would have some problem determining if someone was speeding or not. A hate piece has just been mailed out suggesting that people should think “long and hard” about this candidate. The flyer was mailed out by the “Committee for Common Decency”. While such hatred is all to common in Louisiana, I find nothing decent about it. According to the above article, there is no such committee in the State of Louisiana. There are laws in Louisiana that require certain reporting for paid political activities (especially this close to an election). I doubt this mailer was reported to the state. And that leads me to the question posed in the title of this post. If a printing company is creating a political flyer, shouldn’t it be required to affirm that the information on the flyer is factual (at least the required information about who paid for it)? If they are not, then you wind up with anonymous hate flyers like this mailed out. If the law doesn’t require printing companies to verify this information, it should.